"The Adventure of the Blue Carbuncle" is one of the more well-known stories in the Canon. And yet we're presented with a few trifling issues, including the color of the gem. Peace in the canon. We we first considered this topic, we thought, "Reading the Sherlock Holmes stories to find peace is something like going to Casablanca for the water." "But there are no waters in Casablanca." 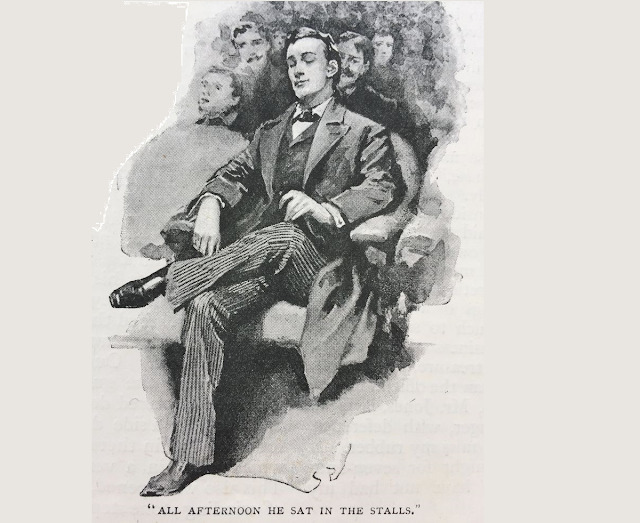 Regardless, during this season of peace, we reflect on moments — even if they're glimpses — of bucolic, peaceful moments we find scattered throughout the Sherlock Holmes canon. They're there, if you look for them — trifling as they may be. Agony column. Agony column? To the modern reader, that term might be unfamiliar. Well, at least it would be unfamiliar with the reader who is new to the Sherlock Holmes stories. 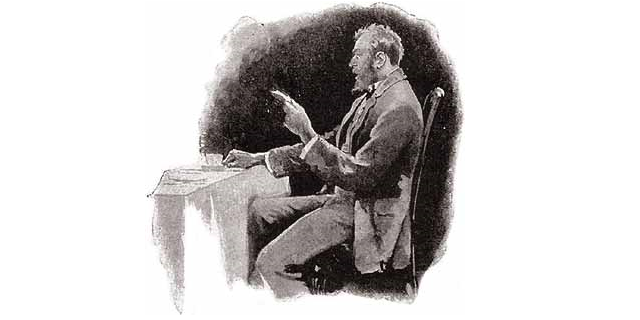 The first time we come across Holmes using the agony column is in The Sign of Four when he advertised for the Aurora in the agony column of the Standard. 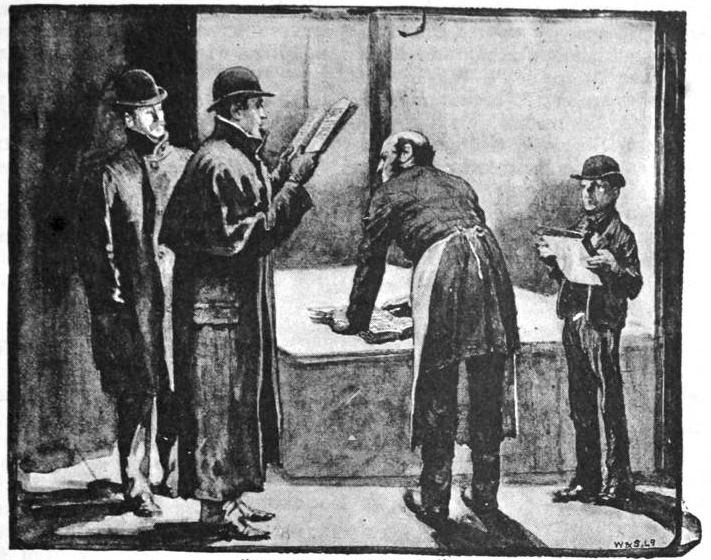 Holmes regularly used newspaper classified ads and personal columns to track down criminals and surface clues. But just what is an agony column, how did it help Sherlock Holmes, and in which stories did he and others find a use for it? Stories mentioned in this episode: A Study in Scarlet, The Sign of Four, "The Engineer's Thumb," "The Noble Bachelor," "The Red Circle," "The Bruce-Partington Plans"
When Cyril Overton sent a telegram to Sherlock Holmes, proclaiming the status of Godfrey Staunton, it was met with puzzlement. And even after Overton arrived at Baker Street, Holmes was still puzzled. We know that he had his "limits," based on Watson's famous list from A Study in Scarlet. 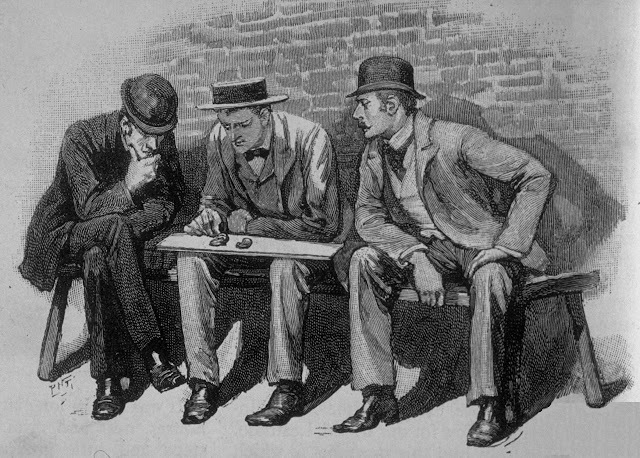 But Watson sat in silence as Holmes twisted in the wind, his ignorance of popular rugby laid bare. Why was this? Was it for the sake of his readers, or did Watson have other intentions in mind? 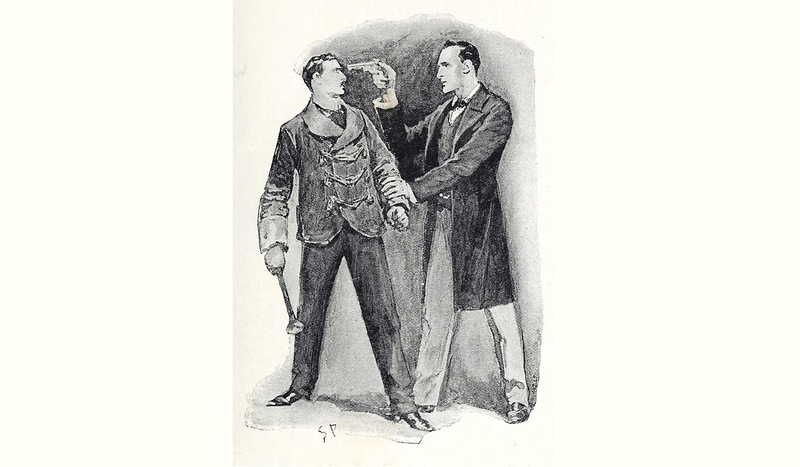 One of the general bits of enjoyment of the Sherlock Holmes stories is the denouement in which Sherlock Holmes apprehends the criminal. In some instances, he does so after the crime has been committed; in other instances, no crime has been committed. But what about those delicious times when the criminals are caught in the act? Or even better, those instances when they greeted with sweet, swift justice. For many of us, the first time we encounter the word "pince-nez" is in the Sherlock Holmes stories. But for many of us, we very likely saw pince-nez on characters in movies, cartoons or the theater before we knew exactly what they were called. Mentioned in three separate stories (do you know which three? ), the eyewear is most closely associated with the adventure that contains its name. But what about the history of these peculiar glasses? We explore the various forms of pince-nez and how Sherlock Holmes came to make his deductions from a pair. Colonel Ross in a monocle in "Silver Blaze"
November 11 marks Veterans Day in the United States, when we honor our men and women who have served in the military. From the very first Sherlock Holmes story, we're exposed to the military: A Study in Scarlet opens with "(Being a reprint from the reminiscences of John H. Watson, M.D., late of the Army Medical Department.)" And from there, we find other members of the military who make questionable decisions in their lives. We explore some of the more notable cases, and we give you a trivia question that might possibly stump your Sherlockian friends at your next meeting. 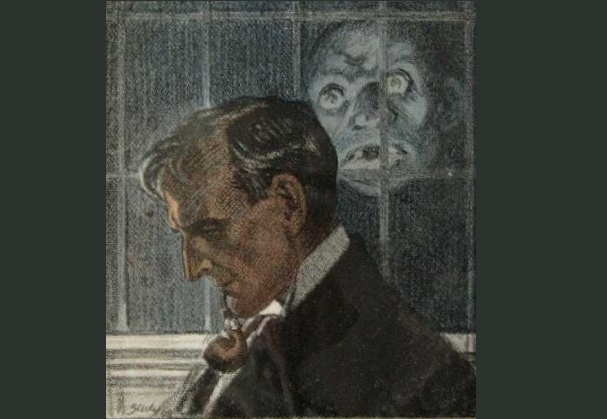 Aside from the untold tales which are hinted at occasionally by Watson, the most intriguing writings in the Canon are those penned by Sherlock Holmes himself. We of course refer to his famous monographs. 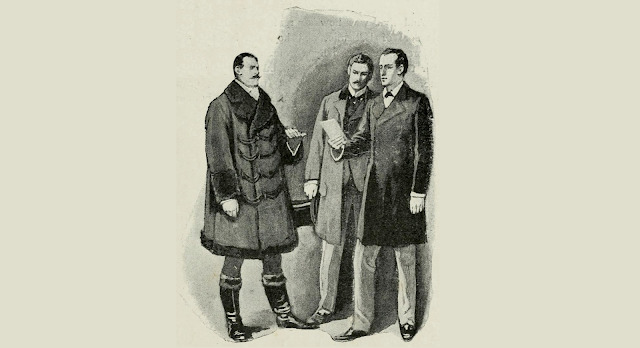 In his earliest published cases, Holmes himself admits "in fact, I have written a monograph on the subject" [STUD] and "I have been guilty of several monographs" [SIGN], seemingly qualifying himself in the good doctor's (and our) eyes. How many monographs were there and what were they? We sum them up and categorize them, with the help of T.S. Blakeney and S.C. Roberts. In "The Adventure of the Noble Bachelor," Lord Robert St. Simon assumed that Holmes was going up in the world by taking him on as a client; Holmes replied that he was actually descending, as his previous client was something of a king. 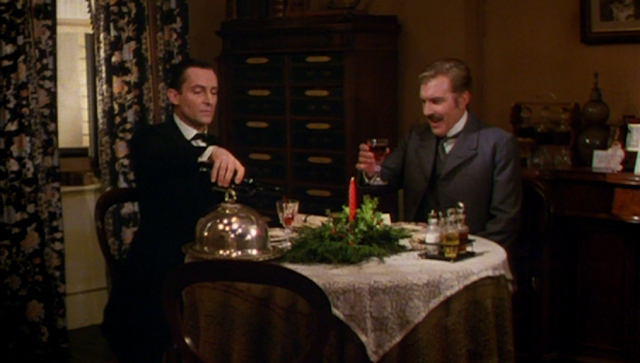 But it was still a royal feast set out at 221B Baker Street for Lord Robert and the assembled guests. Just what was in that supper for five, and what did it say about Holmes and his guests? The second week of October marks the remembrance of Christopher Columbus in the U.S.. Long thought to be the individual who "discovered" America, we've come to understand that claim to be overblown and his tendencies less than flawless. Still, he was a brave voyager. 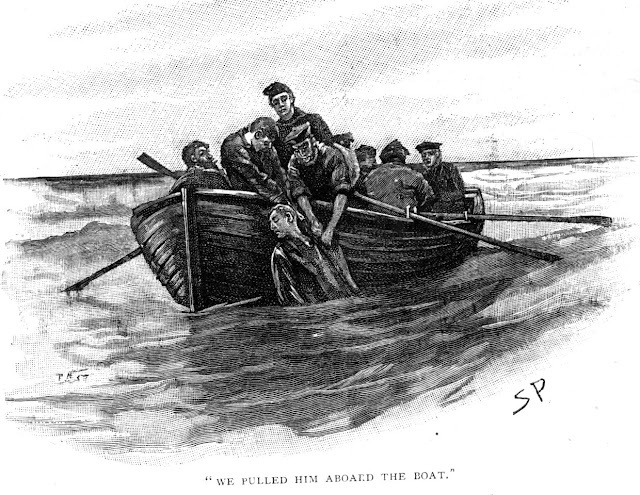 What about some of the great voyages we know that took place in the Sherlock Holmes stories? From traversing the Atlantic and Indian oceans to travel to the deepest regions of Africa, we find ourselves among adventurers, tourists and immigrants alike. Trifles Episode 27 - Rebellion! 40 - Who Was Sarasate? We know Sherlock Holmes enjoyed music. From his own violin playing to a few mentions of concerts he attended, he often escaped from the woes of the world and the problems he was trying to solve through music. 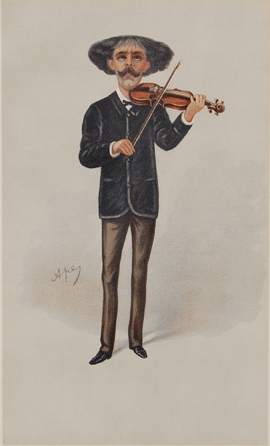 In "The Adventure of the Red Headed League," he says "Sarasate plays at St. James's Hall this afternoon," and he and Watson make their way to the concert, where Holmes clearly enjoyed himself, "wrapped in the most perfect happiness, gently waving his long, thin fingers in time to the music." 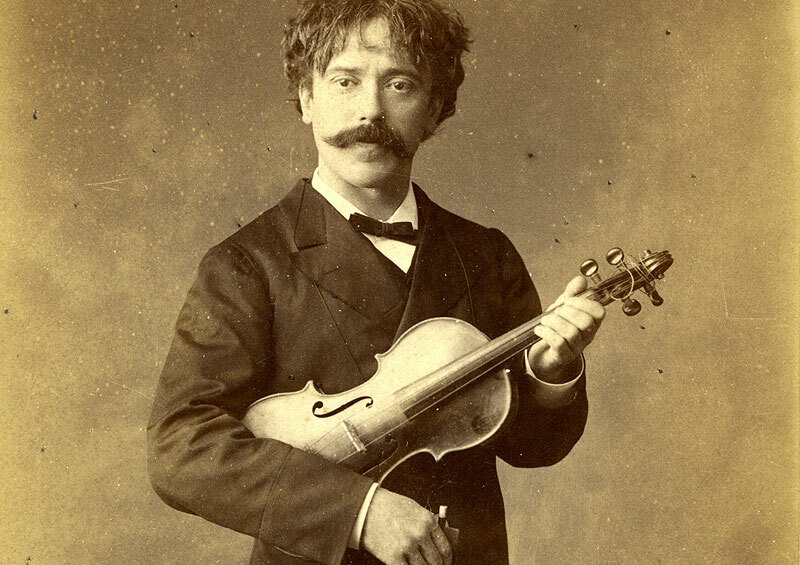 But what do we know about Sarasate? Who was this performer who was able to distract Holmes for a few hours? The KKK was a secret society founded in the southern United States following the Civil War, which committed many outrages. 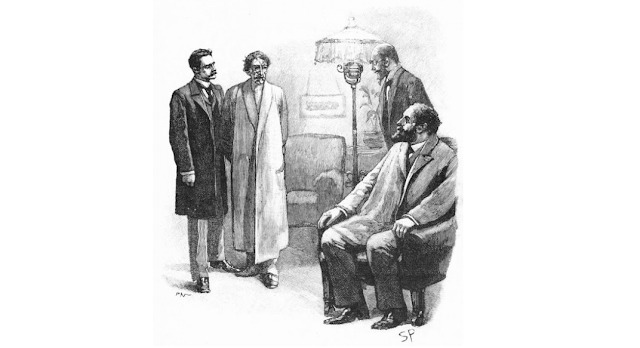 But the KKK as portrayed in this particular Sherlock Holmes story: was it true to life? Or was it a case of literary license? 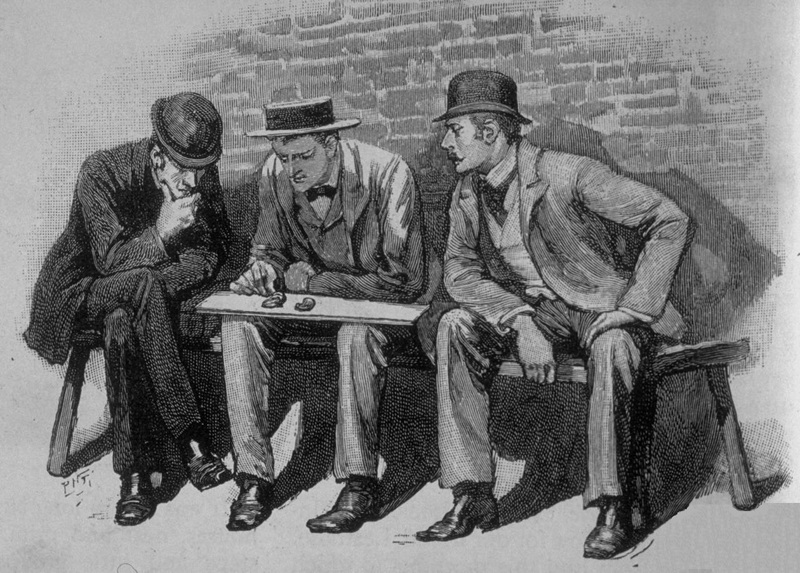 "The Adventure of the Five Orange Pips"
"Two Southern Exposures of Sherlock Holmes," Manly Wade Wellman, The Baker Street Journal, Vol 2. No. 4 (1947) - available on the eBSJ. Who were the Canonical photographers and why did they pursue this hobby? And how did photographs play into Sherlock Holmes's ability to solve crimes? We also have a follow-up item from Episode 37, thanks to some listener feedback. 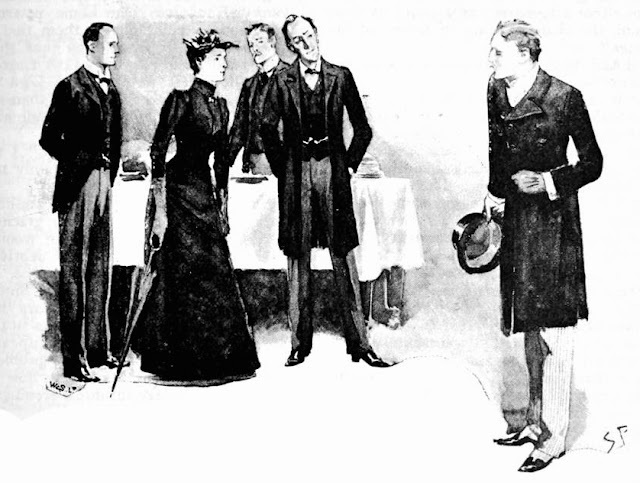 In his student days, Holmes said that he considered his habit of observation and deduction to be "the merest hobby." What subjects was he studying at college? What profession did he propose to follow before detective work lured him away? Wouldn't he have considered his skills at observation to be an asset in his main course of study, rather than a hobby unto itself? Or was he studying something where observation and deduction were not particularly useful to him? And listen closely — particularly if you're Nick Utechin — there is a listener challenge. 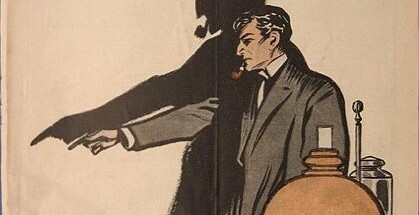 With Labor Day just behind us, what do we find in the Sherlock Holmes stories in the ways of the working class? Holmes said that the public could hardly tell "a weaver by his tooth or a compositor by his left thumb," [COPP] as two examples of the working class. Certainly, Sherlock Holmes himself took on the guise of workers, such as "a drunken-looking groom" [SCAN] and "a plumber with a rising business." [MILV] And the Molly Maguires played a role in VALL. What other Canonical tradesmen were we exposed to? 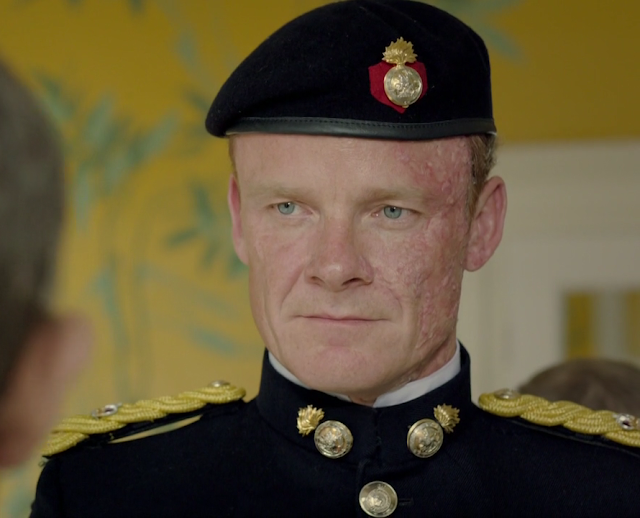 "The Greek Interpreter" gives us our first glimpse of Mycroft Holmes, through the meeting with him at the Diogenes Club. But it's the introduction of the peculiar Mr. Melas, the Greek interpreter, that sets things in motion. When you think about all of the activity in this case, couldn't we argue that Melas was really the hero of this story? Or was it Holmes, with his deductions and bravery? Or was it Paul Kratides, who endured torture in order to protect his sister? 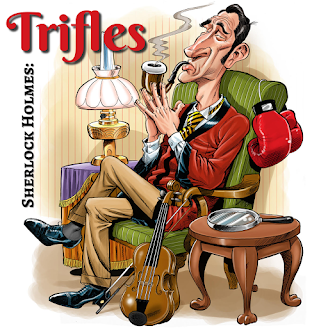 We address the premise of the Greek hero in this episode of Trifles. "The Cardboard Box" opens with an iconic diversion on a hot August day on Baker Street. And while the story was published in The Strand Magazine just following "Silver Blaze" and just prior to "The Yellow Face." And yet when the second collection of short stories was published in book form as The Memoirs of Sherlock Holmes in 1894, "The Cardboard Box" did not appear (at least in British editions) until it was included the collection of short stories titled His Last Bow in 1917. What's more, the famous "mind reading scene" originally included in "The Cardboard Box" was then inserted into "The Resident Patient" when The Memoirs were published. Just what is going on here? 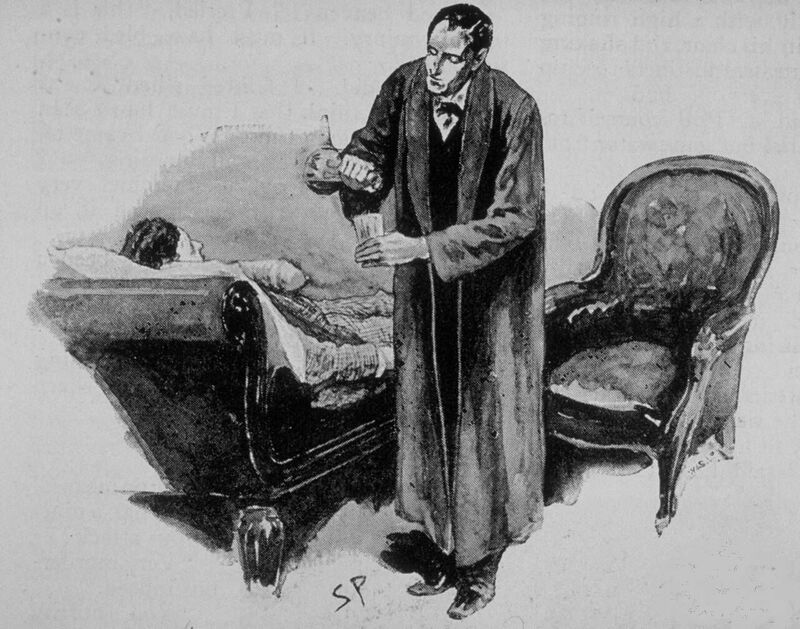 "The Adventure of the Engineer's Thumb" marks the only time that Watson has been responsible for bringing a case to Sherlock Holmes. Go ahead and look it up. We'll wait. Meanwhile, the few engineers we meet in the Canon are of varied types. But Bliss Austin, BSI, in his masterful magnum opus "Thumbing His Way to Fame," from the Baker Street Journal Vol. 1, No. 4 (Old Series) draws out one or two scientific details that seemed to have escaped Holmes but that may have been more apparent to a trained engineer. 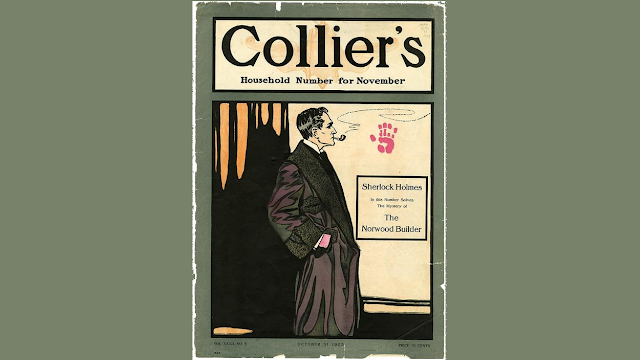 In the opening of "The Norwood Builder," we find Watson back in Baker Street—he sold his practice and has moved back in with Sherlock Holmes. And we discover that it was Sherlock Holmes who made the financial arrangements that made it possible for Dr. Verner to purchase Watson's practice. What's going on here? Did Holmes tacitly indicate that he missed Watson and wanted his flatmate back? Was there a practical side to the partnership as well? 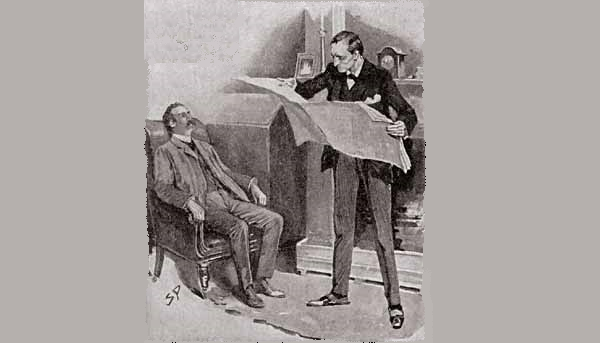 Was this Holmes's way of saying that Watson was his ideal colleague and assistant? There are many questions to be answered regarding this particular trifle. Sidney Paget was the illustrator who first brought widespread visual recognition of Sherlock Holmes to the public. His American counterpart Frederic Dorr Steele got a later start, but made a lasting impact as well. 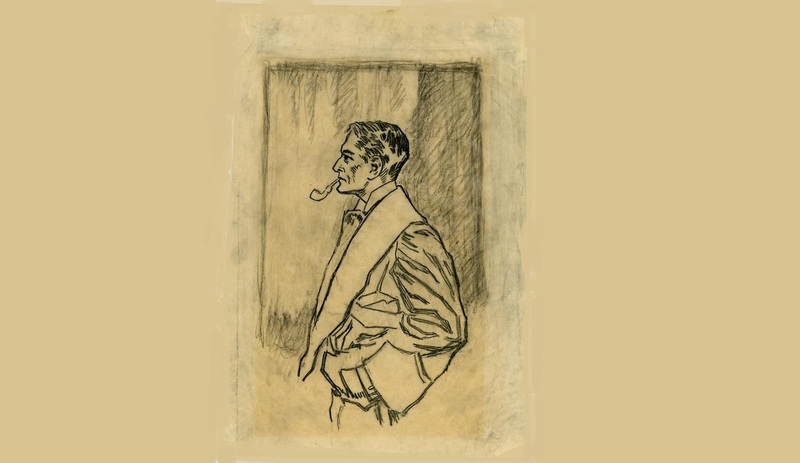 We discuss Steele's inspiration and the ultimate gift that he left us: an indelible impression of Sherlock Holmes through various publications for the better part of his career.